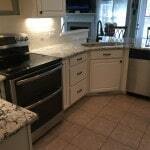 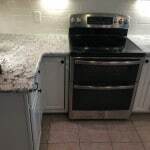 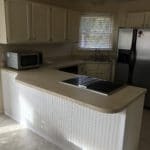 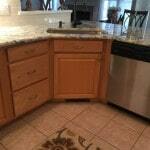 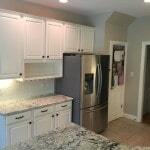 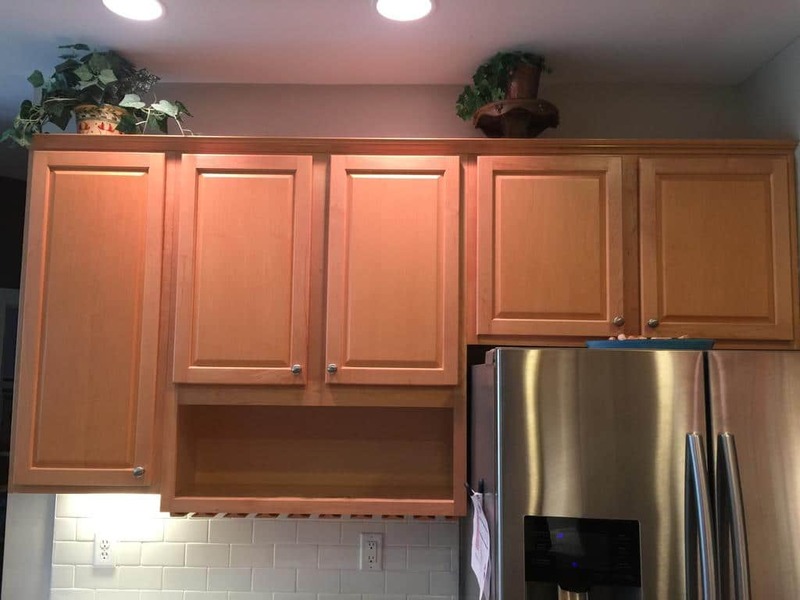 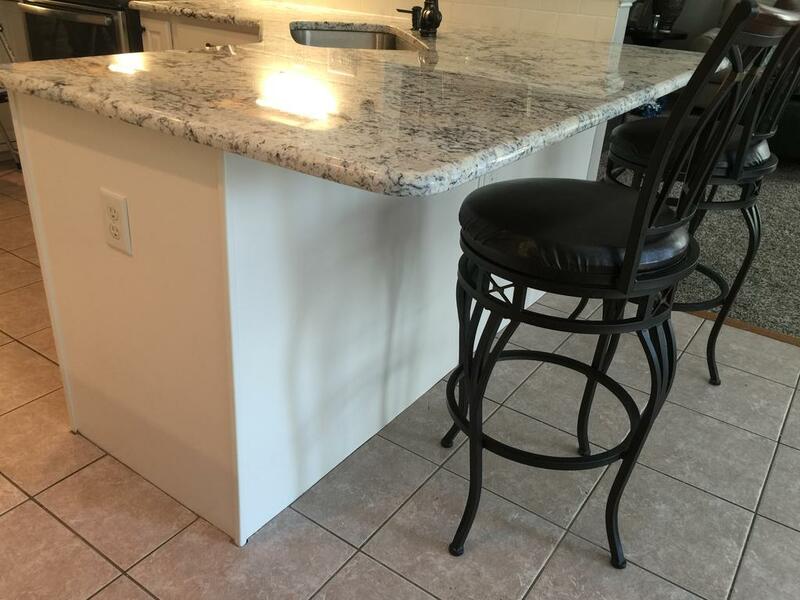 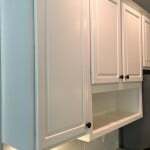 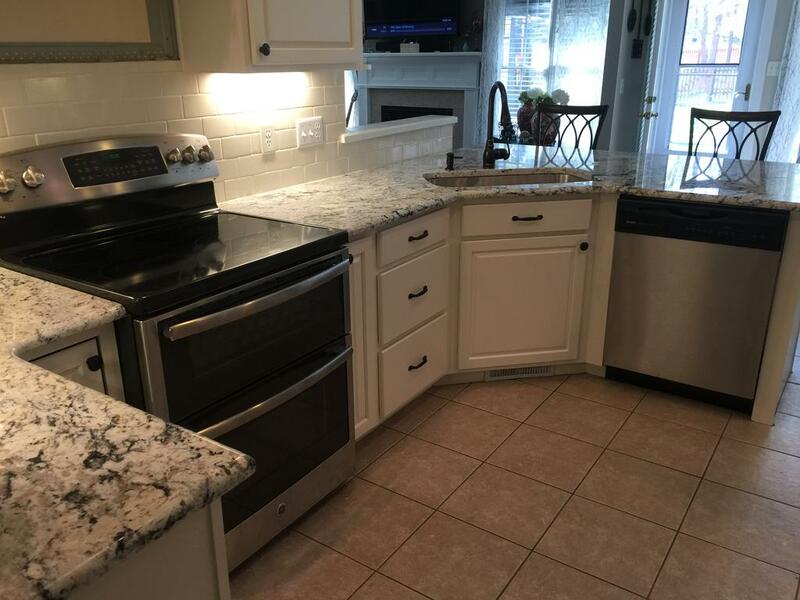 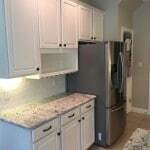 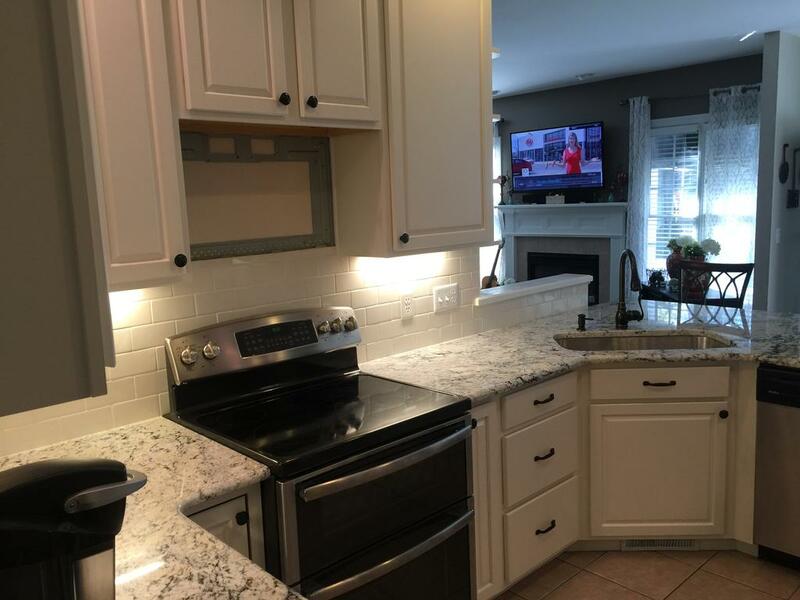 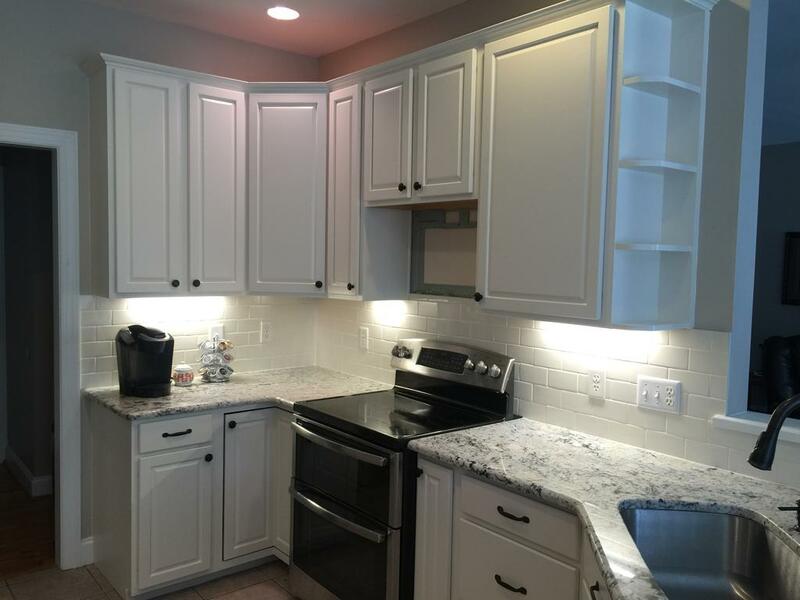 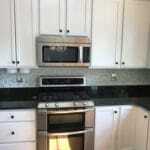 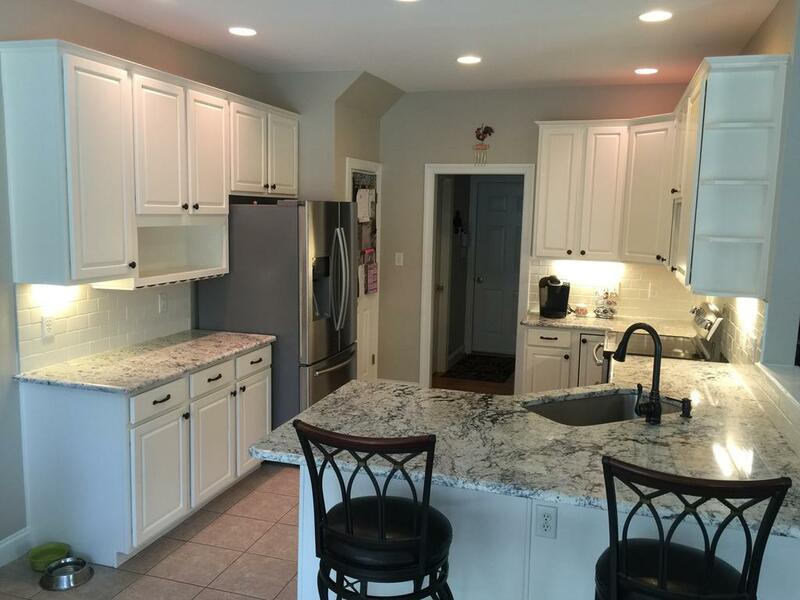 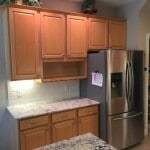 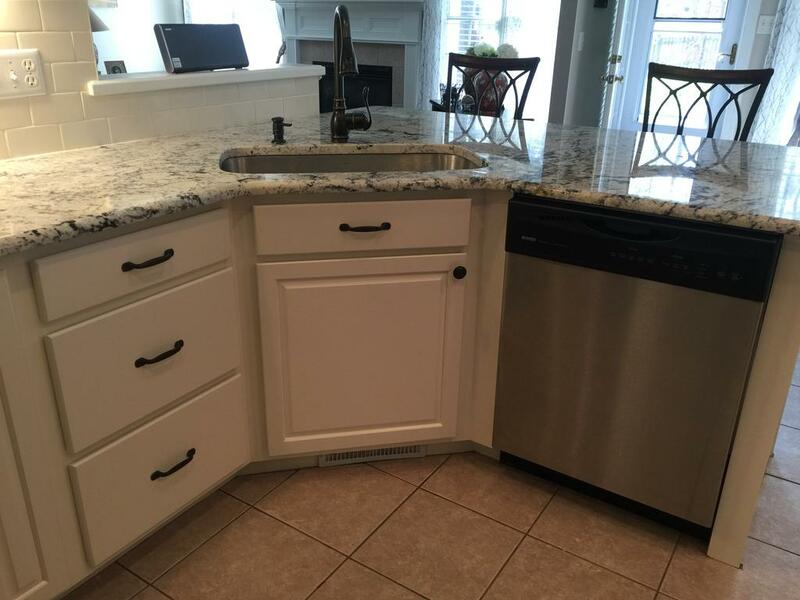 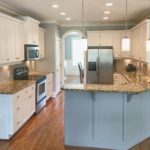 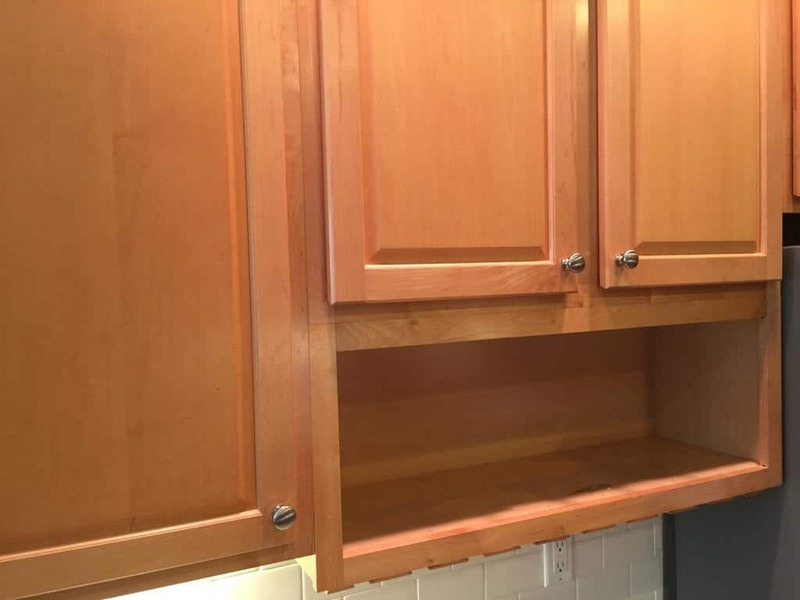 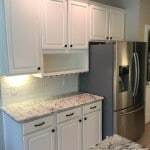 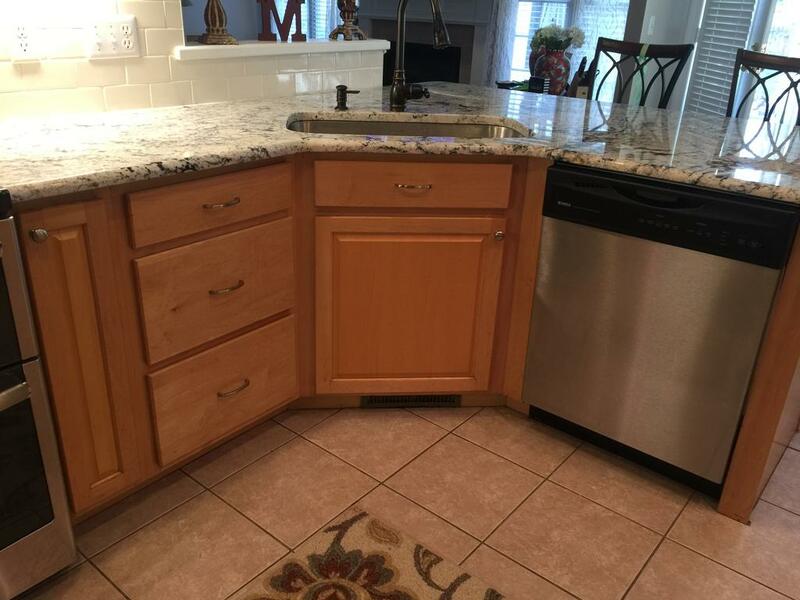 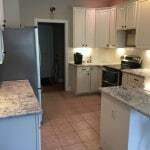 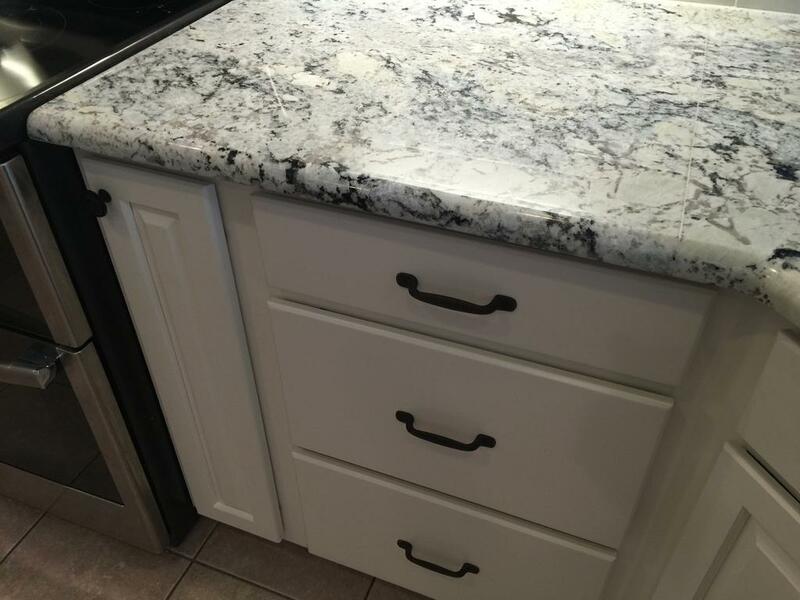 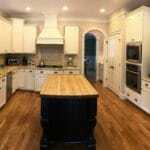 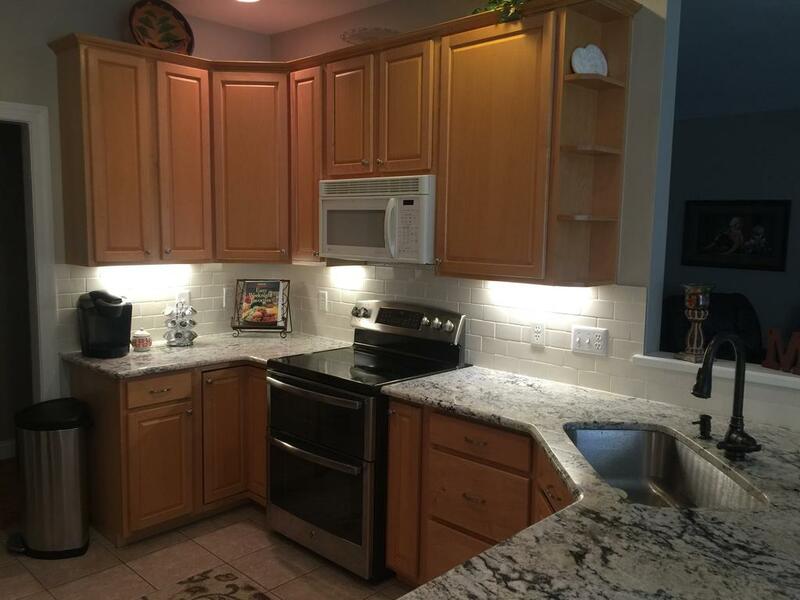 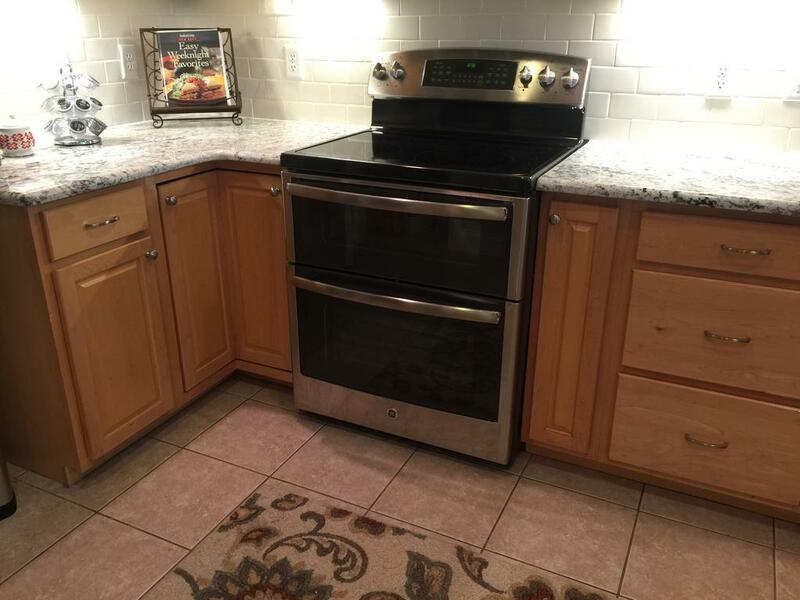 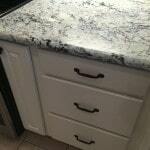 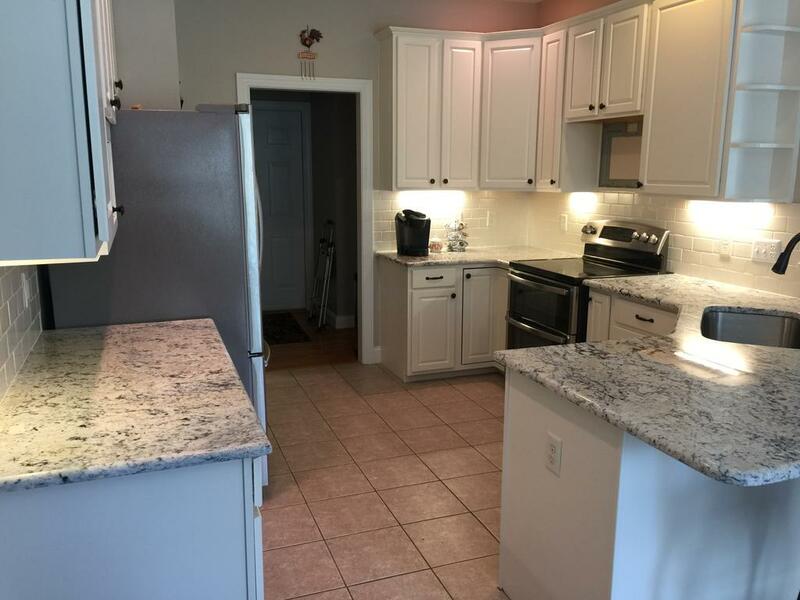 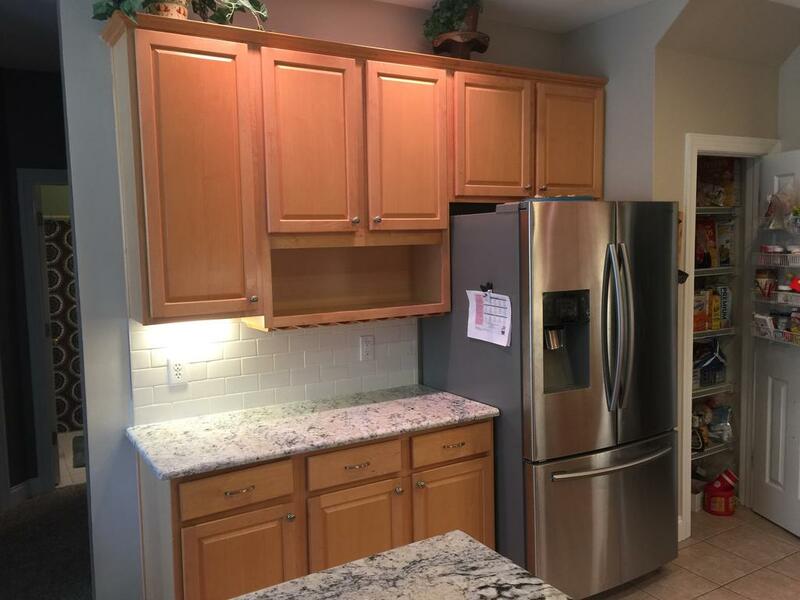 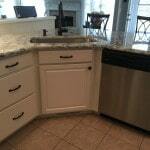 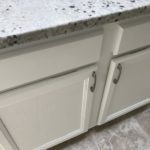 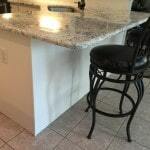 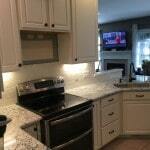 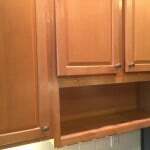 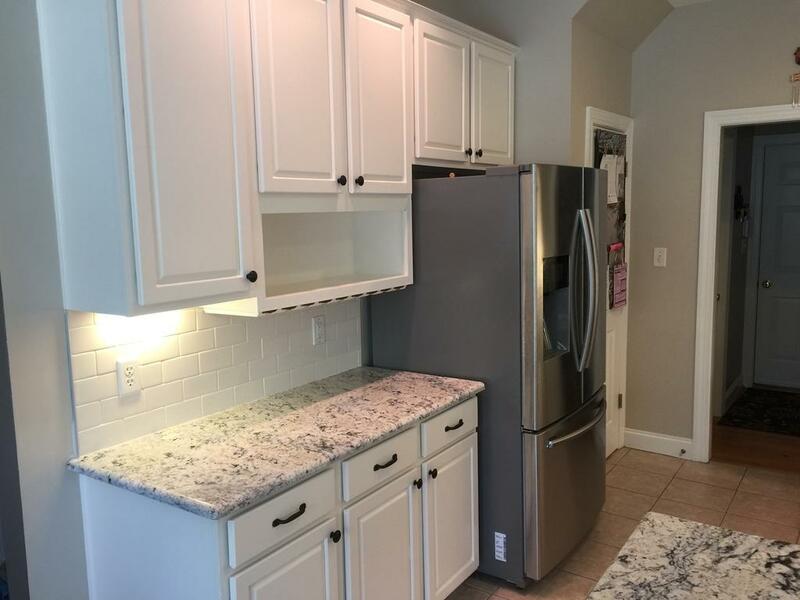 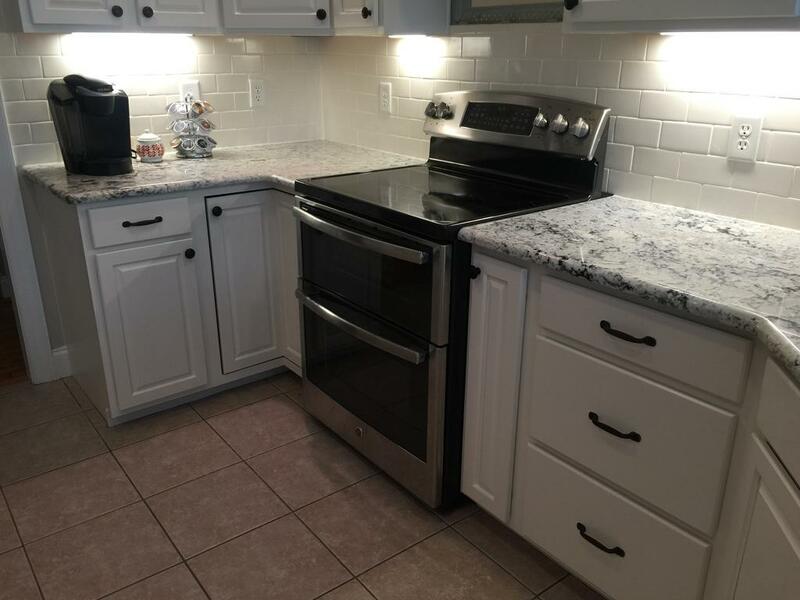 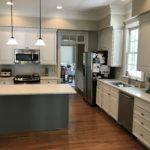 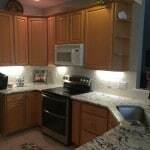 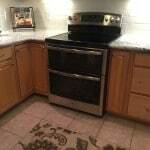 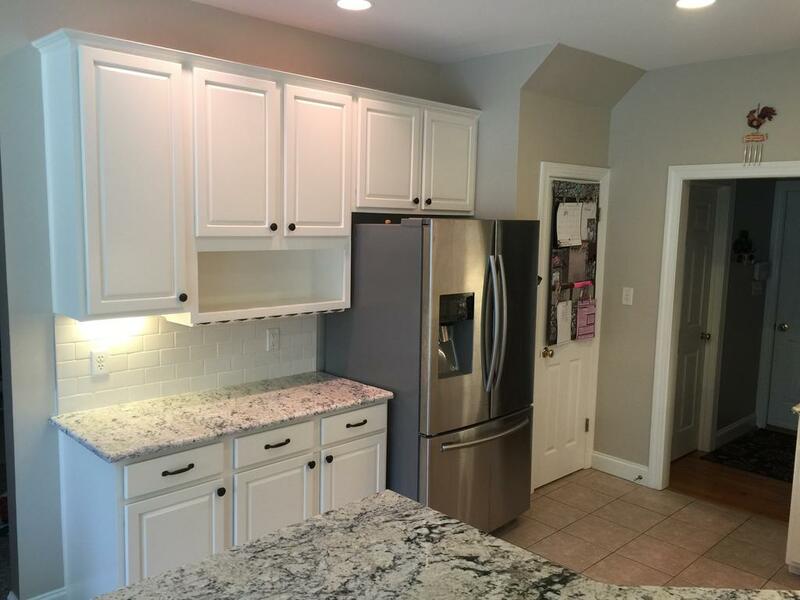 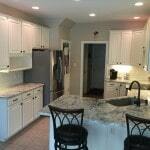 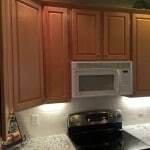 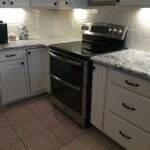 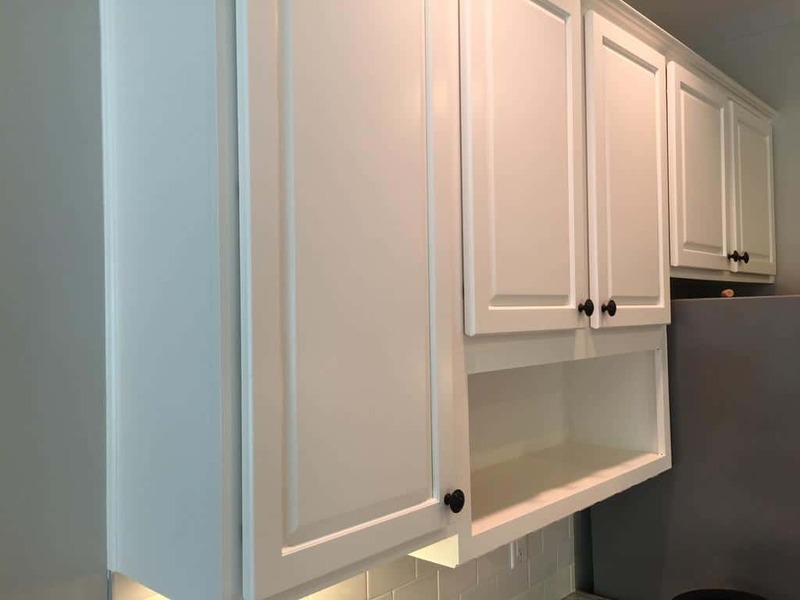 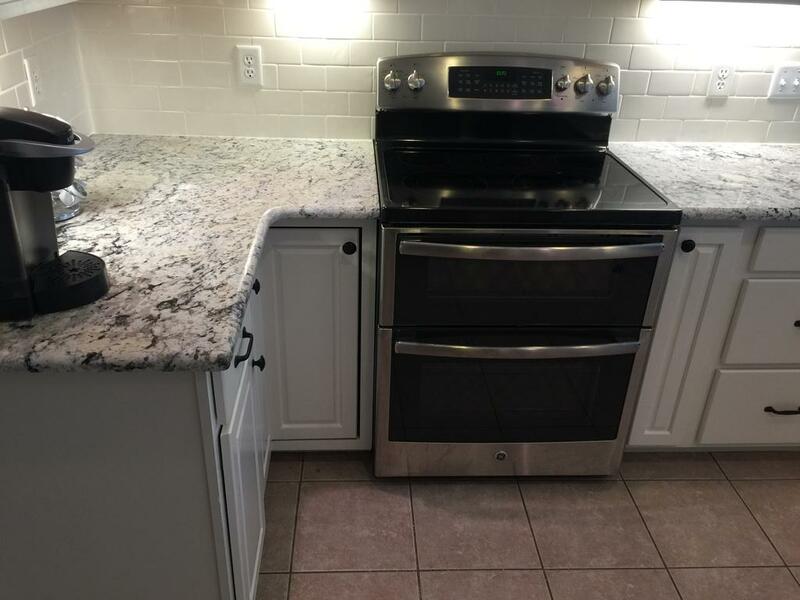 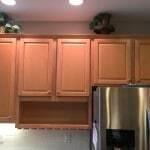 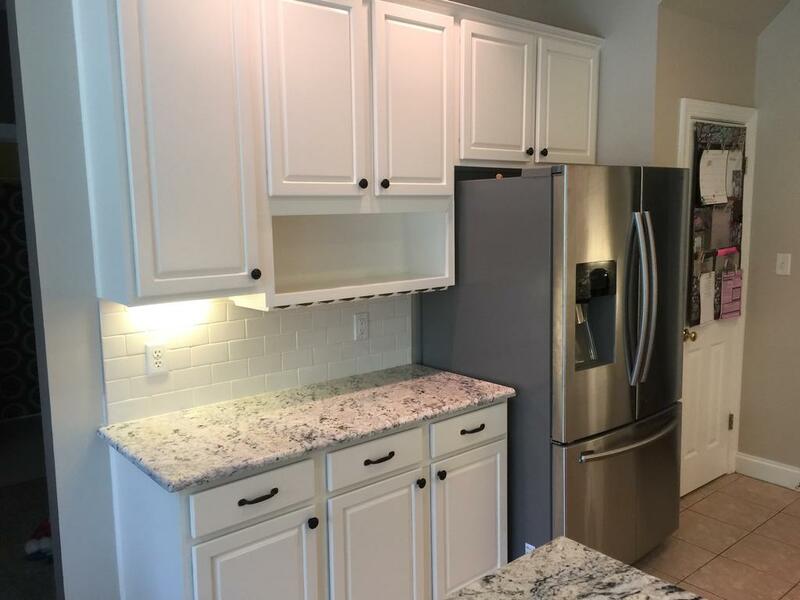 My homeowner loved her new granite and backsplash, but the old dreary cabinets just weren’t doing them any justice. 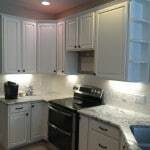 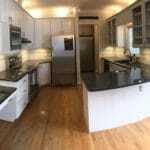 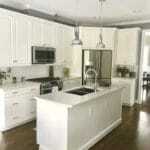 To solve that problem we added a Sherwin Williams color called Creamy 7012. 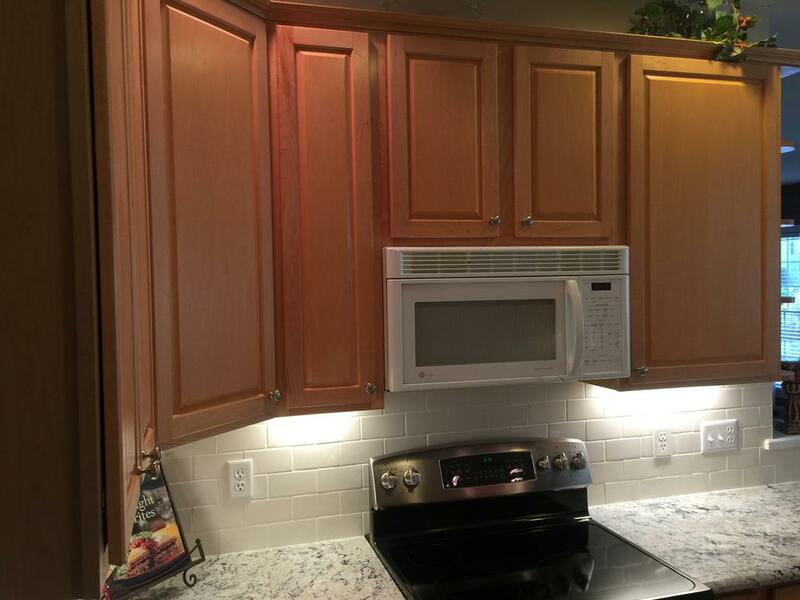 It’s the PERFECT match to her new subway tile. 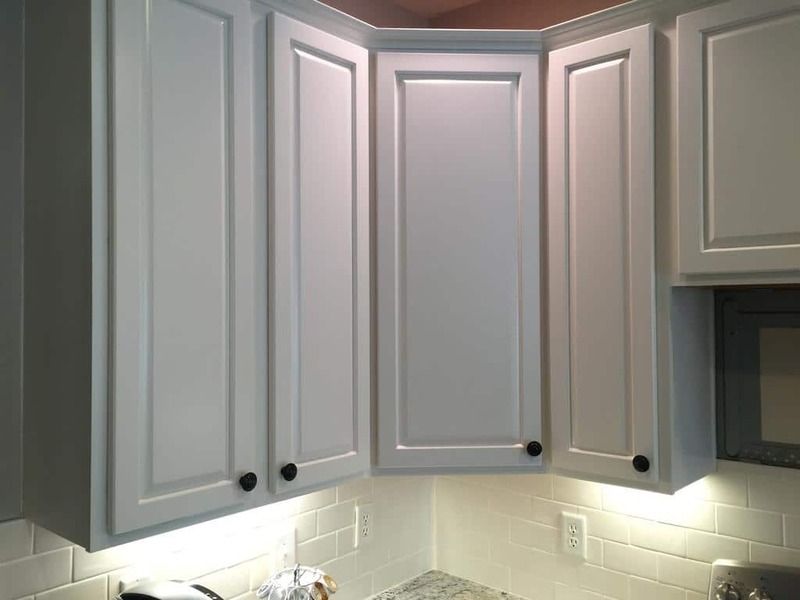 It ties everything together and makes everything feel bright and light. 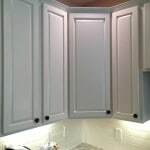 Some new oil rubbed bronze hardware finished off the look.